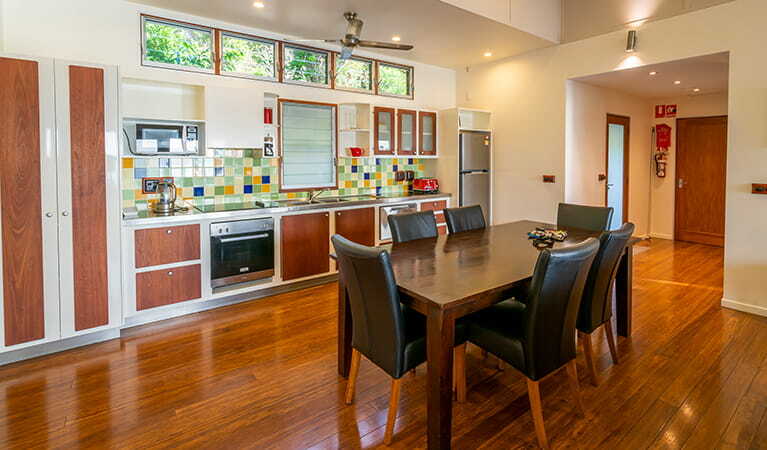 Mildenhall Cottage at Cape Byron State Conservation Area combines rare beachside privacy with glorious natural surrounds for the perfect Byron Bay weekend getaway. Peak: Easter and Christmas Day to New Year’s Day. Shoulder: NSW and QLD school holidays. Off Peak: All other times. Minimum 3 night stays. Where available, shorter stays incur a surcharge. Check in 1:30pm, check out 9:30am. Hourly fees may apply for late check outs. With spectacular coastal vistas and direct access to one of Byron’s best beaches, award-winning Mildenhall Cottage is the perfect holiday accommodation for those who love nature and the beach. 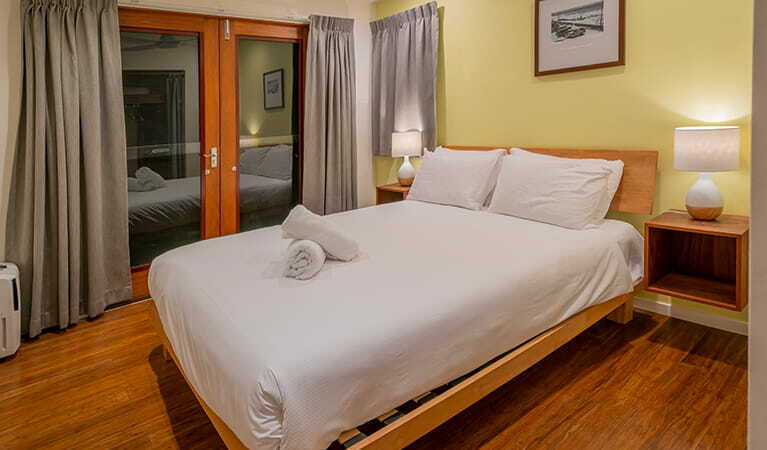 The cottage is one of four 1920’s-1950’s beach shacks that has been carefully restored to offer modern convenience with ECO certification accreditation, while still retaining its original character, heritage and charm. The cottage is right on the beach, so you’ll wake to the sound of waves crashing on the golden sand of The Pass. 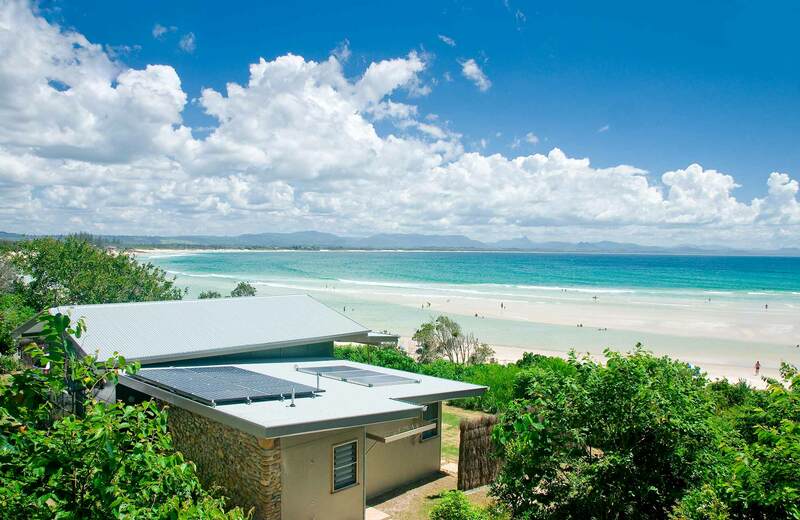 All that is on offer in Byron is close by, take a sea kayak adventure, go snorkelling or diving, check out the lighthouse on a guided tour, or head in to town for a spot of shopping and to pick up supplies. After a day of exploring the Byron coast or hinterland, you’ll be ready to relax. The verandah is the perfect place to recline with a glass of wine and some cheese as you take in the evening tranquility.